If you’re looking for a Texas town that offers both exciting outdoor adventures and a captivating arts scene, look no further than San Angelo. Here on the banks of the Concho River, there’s always something fun to see and do in this modern city with rich historical roots. Whether you come for the incredible art or to get the juices flowing with some sports or rodeo action, the city has the ingredients to cater to even the most discerning tourists. The following are just a few of the things to do in San Angelo that make it a great place to visit. The first thing you should do when you arrive is check out the San Angelo River Walk. Located on the meandering banks of the Concho River, you’ll get a good feel for this city and its people as you stroll past luscious gardens, numerous water fountains, and turn-of-the-century lighting on the four-mile walking and jogging trail. 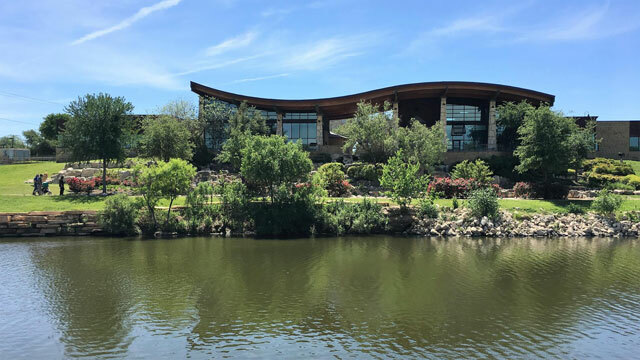 Heading west from the San Angelo Visitor Center - an attraction of its own, with impressive statues and manicured grounds - you’ll see a nine-hole golf course and come upon Civic League Park, home of the famous International Waterlily Collection. Travel east and you’ll be just steps away from downtown San Angelo and all of its bars, restaurants, live music venues, and shops. Like most former boom towns, the city of San Angelo has a colorful history. How colorful? You be the judge after you’ve stepped into Miss Hattie’s Bordello Museum and heard the stories of the characters who lived in and frequented this notorious establishment that opened for business at the turn of the 20th century. San Angelo is also home to the beautiful Cactus Hotel, one of Conrad Hilton’s original hotels. Although it’s no longer an overnight hotel, the Cactus Hotel still hosts weddings and other special events. Somewhere in between these two extremes lies the past of historic old Fort Concho. Founded in 1867 as an army outpost established to protect settlers from Native American attacks, the fort is now home to a museum. Explore 23 restored and original fort structures and put yourself in the shoes of the soldiers who lived here all those years ago. 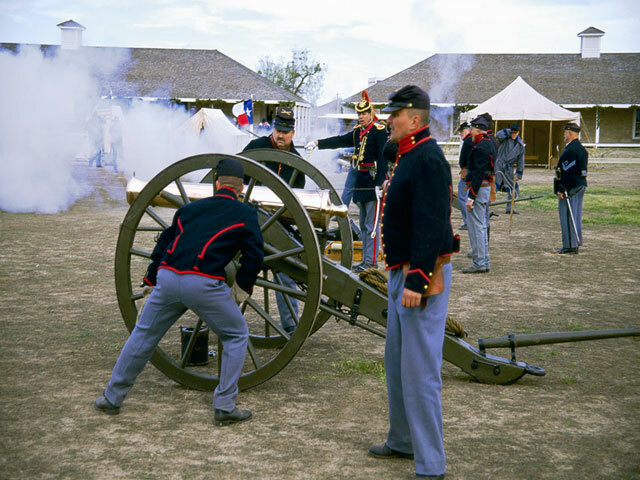 The fort hosts regular living history and special events where you can witness artillery firings, cavalry demonstrations, vintage baseball games, and other soldiering activities. Art is almost everywhere you look in San Angelo. In fact, the city has a reputation for having “art in uncommon places.” Trash cans, doors, old cars, and even sheep have felt the painter’s brush. 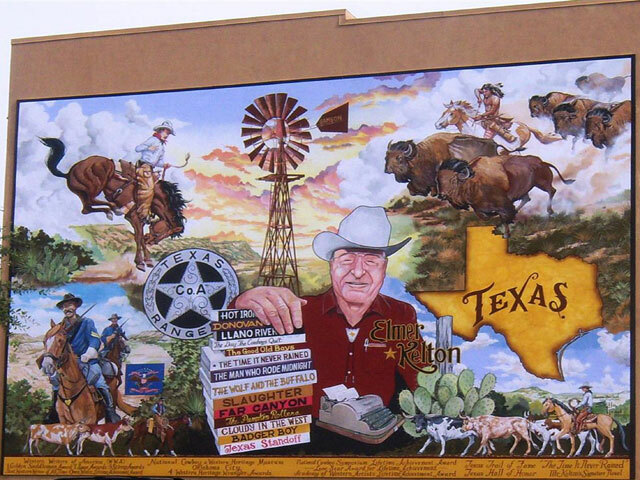 The 12 Historic Murals of San Angelo tell the stories of San Angelo’s most important people and events over the decades. Meanwhile, there’s even more eclectic art on display at Chicken Farm Art Center, which showcases works by local artists in repurposed farm buildings. Of course, the city has its more traditional venues. The San Angelo Museum of Fine Arts is a world-class facility displaying art in three galleries, including some of the finest pottery and sculptures in the entire Southwest. There are other art galleries around town, but for a place where you can get in on the fun yourself (after a glass of wine or two, of course), check out Vino Dipinte Art Gallery. An evening of “painting and sipping” might be just what you need to help you discover your sleeping inner artist. On its own, the Concho River that runs through the heart of the city would be an impressive geographical feature. But for San Angelo, it’s just one of the many elements that make San Angelo a natural treasure. The city is home to three lakes: Lake Nasworthy, O.C. Fisher Reservoir, and Twin Buttes Reservoir. In addition to some great boating, fishing, and picnicking, each has its own unique joys, like the 15 miles of four-wheeling trails at Twin Buttes and the cabins for rent on Lake Nasworthy. However, no place in town offers more outdoor adventures than San Angelo State Park. Go hiking, mountain biking, and horseback riding on 50 miles of multi-use trails; fish in Javelina Pond; hunt for deer and turkey (in season with a permit); birdwatch; or tackle an orienteering course. With low humidity and more than 250 days of sunshine a year, San Angelo’s lovely weather sets the stage for plenty of outdoor fun, no matter what you choose to do. You’d be hard-pressed to find a Texas town of comparable size to San Angelo that offers more exciting events throughout the year. For example, there’s the Showdown in San Angelo, a nationally televised drag boat racing event held in June. July’s Wake the Desert is an annual competition that brings some of the top wakeboarders in the world to Lake Nasworthy. 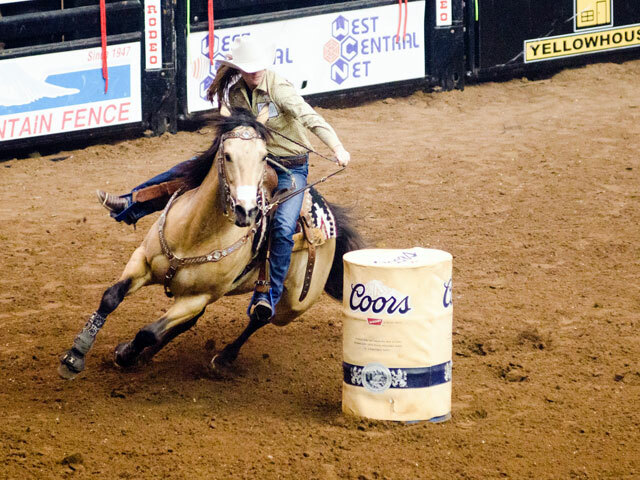 But for many, the city is best known as the site of one of the largest rodeos in the country in terms of competitors, the San Angelo Stock Show and Rodeo. When you factor in all the festivals, exhilarating races, arts events, and holiday celebrations, you have the makings for a terrific place to stay any time of the year.